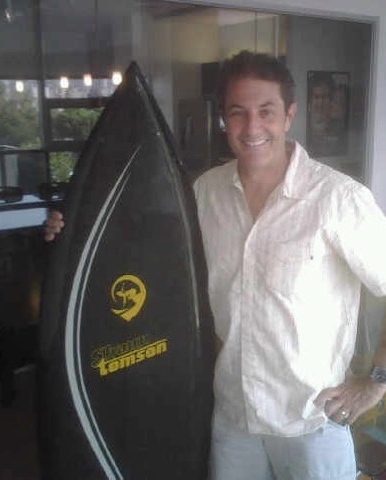 : Board Collector: Shaun Tomson - Canyon thruster. Daniel from the US East Coast has shared pics of his board that he hashad for close to 30 years. 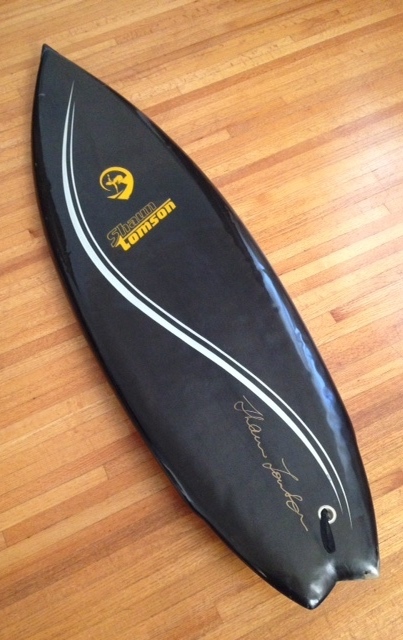 An autographed Canyon (Shaun Tomson model) board shaped by Rusty Preisendorfer. The board is from '82/'83 according to Shaun. He also mentioned he's never seen another black board like it! When Dan first bought it as a kid in New Jersey, it was very cheap because nobody wanted a black board because the wax melts right off at the beach in the sun.